Never miss any of our fantastic events again. 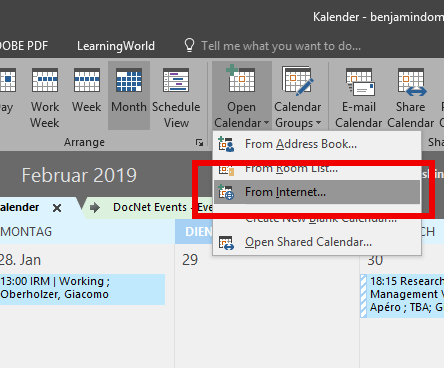 Import our synchronized events calendar into Outlook (and other services) with just a few clicks. 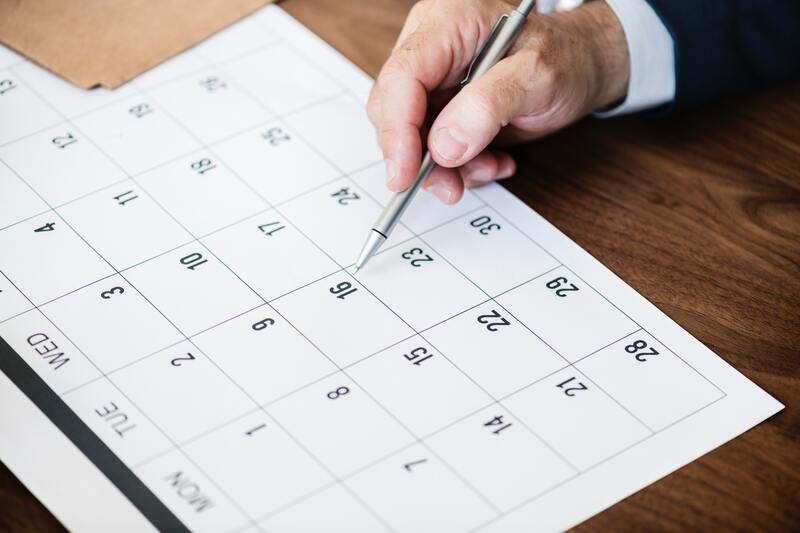 Here’s how to subscribe to our Events Calendar in four quick and easy steps. Open Outlook and switch to calendars. Click on “Open Calendar” (as depicted below). Copy https://wp.docnet-hsg.ch/?ical=1 into the dialog and click “OK”. 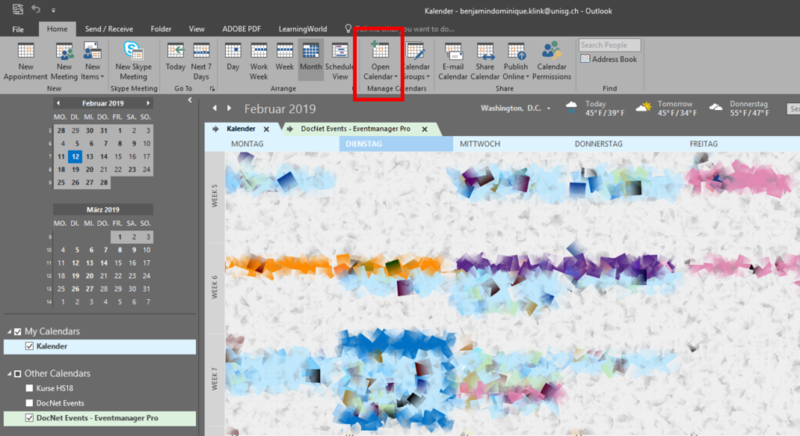 Rename the calendar, then click on the small arrow to overlap the calendar with your other calendars. Done. 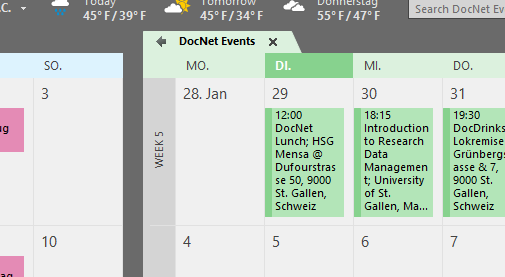 The calendar automatically checks for new events once they are put on the DocNet Website. Now you will be up-to-date on all our activities, in no time.